I NEED TO...migrate my users to Windows 10. Windows 10 - Keeping up to date. 3-Minute "Windows 10 Migration" video. Consider a leading healthcare company that migrated 19,000 machines to a new Windows OS. Or a large school system that migrated 40,000 machines across more than 100 schools. Each of these organisations needed to map and update dozens of apps and drivers to the appropriate users and PCs, plus restore each user's data and settings. FYI, the healthcare organisation came in ahead of budget. And the school system? Well, it finished a week ahead of an aggressive schedule. It's no longer three to five years between major OS migrations. Microsoft's faster release cadence pressures IT to run multiple Windows versions in parallel and be in a continuous state of migration. Gain a real-time view of migration progress. Inform executives as you move forward according to plan. Users are less resistant to migrations when they can pick when to upgrade. Make it a simple click when they're ready. Migrate devices to the latest Windows versions without un-encrypting them. Gain privilege management controls upon update. Create a system for applying your image and user profiles to devices that come directly from resellers. Use the migration to upgrade your processes—improve your provisioning, patching, and software licence compliance processes. Keep the user experience consistent. Extract and move user profiles, settings, and files between Windows versions fluidly. Provision new or existing devices using templates that minimise configuration steps. Have users up and running with fewer incidents. Everything is extrapolated from the OS, so there's no need for so many images. The solution lays everything back down automatically. Migrating Windows operating systems isn't only about solving a single problem. 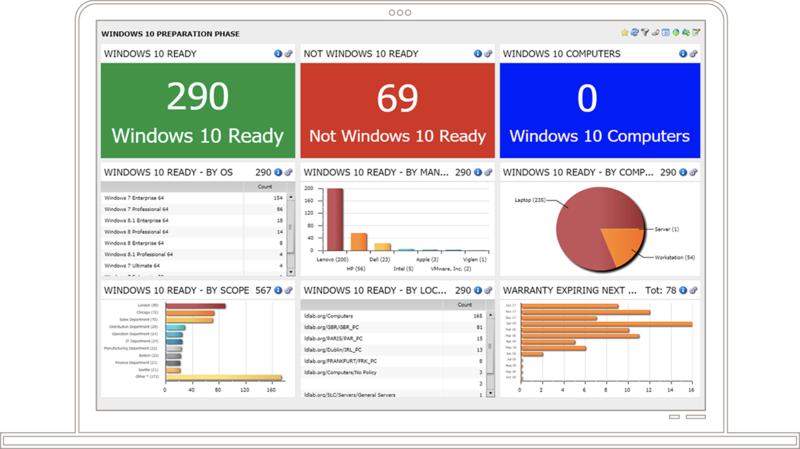 We can help you make permanent improvements to your Windows management and updating approach. Solutions from Ivanti enable you to automate the entire migration and provisioning process. Remember the school system mentioned earlier? The system's IT department can easily image hundreds of devices a day—more than 2,000 machines a week. Instead of installing and configuring applications, IT ensures there are no business interruptions while users move to an even more efficient OS. A proven, unified endpoint management solution. On-demand profiles, personalization, and context-aware policies. Simplify Windows 10 and Office 365 migration and file access from anywhere. Discover key capabilities for highly automated, continual Windows OS migrations. Learn more about fast and simple Windows User Profile Migration. Migrate most machines using less time than side-by-side migrations. The majority of complete migrations, including user personalization, can be done in a short lunch break of 30 minutes or less. Cut the time and cost of application-package customization by decoupling application settings from the package itself. Automate app configurations based on the destination OS and elevate user privileges dynamically to instal. Track all licences from the time of the new installation. Users save their files and data in many places—on computer drives, network shares, removable storage, and in the cloud. This solution gathers all user data and stores it centrally in existing IT storage, then makes it available as part of the user’s new modern desktop, on any device, in any location. Capture personal settings from users’ existing desktops automatically and store the data centrally, then re-apply it on-demand. Leverage this personalization to apply during a migration to a particular device, or to roam seamlessly between any machine running any Windows OS. There's no need for multiple images in order to migrate machines of varying models or manufacturers. Use a simpler, standardised image, then let the solution lay down the device-specific drivers, apps, and profiles related to the user. Update new or existing devices using provisioning templates that minimise PC configuration steps and propel your IT team to new levels of efficiency. Gain the flexibility to download device drivers based on PC or device type and have users up and running with fewer incidents.